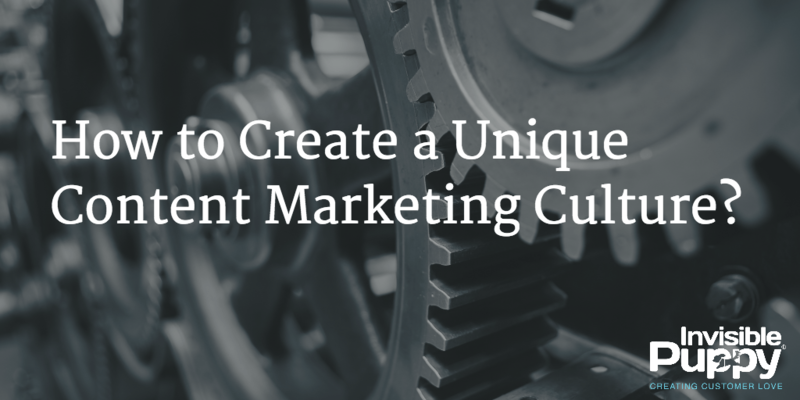 How to Create a Unique Content Marketing Culture? A culture of content goes far beyond enabling and empowering content creators outside of marketing. A culture of content is an organizational environment and attitude that embraces and evangelizes the importance of content marketing and internal knowledge-sharing across the entire enterprise. A business that achieves an internal culture of content is one that inspires employees—not just those in marketing—to create content for both internal and external consumption. If brands want to succeed as publishers long-term, their commitment to storytelling has to start with their company’s culture. The question is: how do you do that? In this blog post I want to take you through a number of steps that introduce a genuine culture of content. Organizing for content is complex for a couple of reasons. As content is used in every stage of the customer life-cycle, every department in your company has content for customers. This content is communicated by that department, not taking into account what is communicate in other departments, in a different style, at a different moment, and not necessarily the priority of the company. Sound familiar? This is a silo-approach to content marketing, which causes resources and money being spent in the wrong places. What you want to do, is to bring all these departments together into an alignment on strategy, organization, people, process, technology, and finally culture. Getting Management buy-in: One of the biggest challenges I often hear is getting buy-in from senior management. That’s because the value is not clear, the resources and budget requirements are not clear, and the return for the business is not clear. Bridging the internal silo’s: another challenge is getting people on board behind the same vision, set priorities as a company, and orchestrate the complete content supply chain from a central place. Closing the skills gap: often found, the next challenge is about finding the right skills and knowledge. Activating employees: and finally, the last challenge is to get people motivated to support you. Activating employees can be difficult because they are busy with other stuff, and consider supporting the content strategy not as part of their job. All these challenges can be tackled by getting organized for a unique content culture. Where will ideas for content come from? How will you plan ? Who does that? Who creates, reviews, proofreads, validates, publishes? Where do you publish? Who does that? How will you promote your content? Who does that? And finally, how will you measure and organize for optimizing your content? Organizing for content culture also requires new roles to be introduced in your organization. In certain circumstances this means that you’ll need to hire new people if you do not have the skill set and knowledge available in your existing organization. Audit your content and organization: a step often skipped, but an audit is the most useful tool to understand what you have in terms of content, organization, skills, workflow, digital marketing maturity, and so on. Line up your distribution channels: in line with the needs and preferences of your customer, start implementing missing and optimizing existing paid media, social media, content hub or blogs, website and partners. Gather your stakeholders: start think about how you will make decisions, set goals, set priorities, and manage issues. To make sure that the output of your content strategy is aligned with your business objectives, you need decision-making platforms, related processes, clear role definitions, alignement between departments and people, and insight into progress and results. All of that is what is called “governance”. Accountability: It’s important everyone knows what to do, and clearly see the process that needs to be followed. It must to be clear to the organization who is responsible for strategy, creation, validation, reporting, etc, and this within the campaigns, programs or projects that come out of the strategy exercise. Governance setup: How will your governance function internally? Who organizes it? How will you communicate internally? How will you visualize progress and results? Alignment: Do you have an agreement from all stakeholders (usually marketing, communication and sales) to target specific personas and sales stages? Does everyone agree with the content your customer care about? Is sales and marketing aligned on the definition of a lead and the lead management process? Insight: If you want to understand what works and what doesn’t, you’ll need to get insight into your marketing performance. Not only the performance of your content, but also how are we doing in terms of content production itself. There are many ways to set-up this content governance. Different ways exist, depending on the size of your company, the number of business units or departments, national or international operations, etc. How to enrich or introduce the right content culture? Customer centric thinking: Having the right content culture requires an internal understanding of what your content should be for your customers. This is about evangelization & education: what can content achieve and how those achievements might benefit them. This e.a. means fewer calls to customer service, for example, if that department can help surface issues and problems that can be addressed with content (with the additional benefit of savings). Mobilize your employees: the understanding of what your marketing should be for customers is not enough. You’ll need to mobilize, motivate and activate your employees. This can be done by training, setting clear objectives and requiring participation, rather than letting everyone free. Gamification, or non-monetary incentives such as internal visibility, training or other perks can help. Create the right atmosphere: Right of the bat, the atmosphere around content should be that your content should be the best possible quality. Foster a sharing and educating mentality, and allow people to promote their personal brands by giving them freedom. Create platforms and moment to share feedback and communicate (personal) achievements. Anchor content culture into the company culture: when new people come on board, what training will you give them, how will you appraise them, and even, what content skills do they have or are they bringing into the company? Do you have the right content culture-enabling tools? Governance, methodology, and people are all important when building a culture of content. But without the culture-enabling tools it is difficult for employees to become customer centric, function in their role, or in general, being efficient as an organization. Buyer insight: do you have tools for buyer persona’s, segmentation, SEO keyword research, social listening, customer data insights, etc. Templates and checklists: do you have tools for strategy, content creation, validation, publishing, etc. Process tools & technology: do you have tools for planning, publishing, automation, etc. Measuring: do you have tools to measure content & program/campaign performance, lead generation, and revenue generation? We’re going to see many more enterprises rally around the culture of content, creating training and evangelism programs to spread the word and foster participation. This will result in better marketing and hopefully, more openness and transparency insofar as consumers are concerned. P.S. Please feel free to comment on this post! What are your experiences with creating a culture of content?